In the published opinion in the matter of Division of Child Protection and Permanency v. T.U.B. & J.E.C., (A-2565-15T2) the trial court terminated the Defendant’s parental rights in a Title 30 guardianship case based upon the admission of hearsay statements by children about corroborated allegations of abuse or neglect pursuant to N.J.S.A. 9:6-8.46(a)(4). The hearsay statements made by the children involved allegations of sexual abuse that were later in part recanted by one of the non-testifying child declarants. The trial court accepted the truth of those allegations, which were not directly corroborated by independent admissible proof that the defendant did sexually assault the two girls. The two girls did not testify at the Title 30 guardianship trial. N.J.S.A. 9:6-8.46(a)(4) states the following: “In any hearing under this act, including an administrative hearing held in accordance with the ‘Administrative Procedure Act,’ . . . (4) previous statements made by the child relating to any allegations of abuse or neglect, shall be admissible in evidence: provided, however, that no such statement, if uncorroborated, shall be sufficient to make a fact finding of abuse of neglect.” Title 9 is New Jersey’s statute related to child abuse. Title 30 is New Jersey’s statute with standards and procedures for determining whether a child is to be removed from his/her home. The trial judge in this case reasoned that Title 9 and Title 30 should be “construed together as a unitary and harmonious whole” and, therefore, the hearsay exception of N.J.S.A. 9:6-8.46(a)(4) was applicable to the termination of parental rights proceeding under Title 30. The Appellate Division disagreed, holding that the plain reading of N.J.S.A. 9:6-8.46(a)(4) confines the hearsay exception to abuse-or-neglect cases litigated in Title 9 proceedings, and not Title 30 termination cases. Moreover, Title 9 and Title 30 have different burdens of proof. Under Title 9 cases the Division’s burden of proof is a “preponderance of the evidence”. Under Title 30 cases the Division’s burden of proof is much higher as the Division has to make their case by “clear and convincing” evidence. 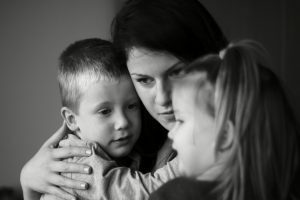 Since the termination of a parent’s right to raise his or her child is permanent under Title 30, the Division has a tougher burden of proof, unlike Title 9 cases involving abuse and neglect. Therefore, the special evidentiary rules in N.J.S.A. 9:6-8.46(a), which ease the Division’s burden in Title 9 cases is limited to Title 9 cases. In pursuing Title 30 termination cases, the Division has to provide more rigorous and persuasive proof. However, the Appellate Division stated that it rendered its decision mindful that the legislature retains the ability to adopt a curative amendment to Title 30 to extend the hearsay exception in N.J.S.A. 9:6-8.46(a)(4) to future termination proceedings, if it chooses to do so. What is clear is that if you are involved in either a Title 9 or Title 30 case or any case involving the Division of Child Protection and Permanency, you should either retain a lawyer or ask for a lawyer to be appointed. There are complexities in such cases and with such significant outcomes, that they are not the kinds of cases one would want to handle on their own.